I know for a fact that aside from the bedroom, you next favorite space in the house is the living room. But this may not be true for all of you because I know some people who are kitchen lovers (not just the chubby ones, even the skinny ones too!). I have seen so many lovely designs of living rooms and it would only make me drool. I envy the owners of a house with a pretty living space! Today, we will take a peek at a beautiful living room that you will envy too. 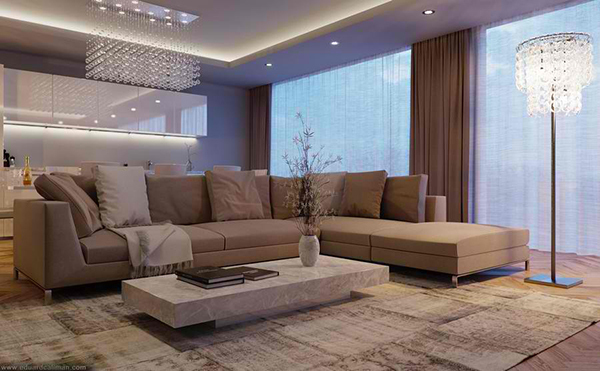 Architectural visualizer Eduard Caliman based in Leeds, United Kingdom designed an open plan living area with a luxurious interior. 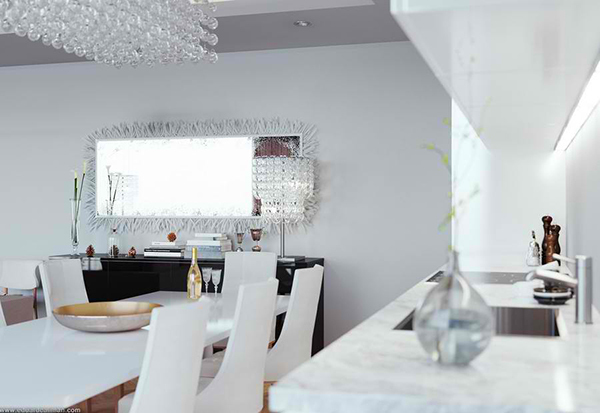 A large sofa is seen in the middle that also separates the living area to the dining space. 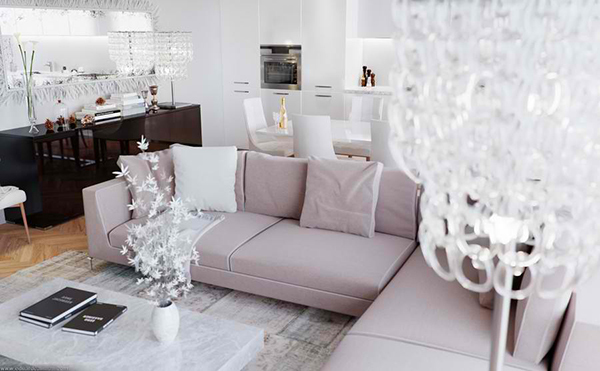 You can catch a glimpse of crystal chandeliers as well a lovely eclectic mix of furniture. Let us take a look at the images of the living room below. This sofa was designed by Antonio Citterio for B&B Italia and it really is a good choice for the living room. The living room is indeed lovely and luxurious. I’d love to have one like this! 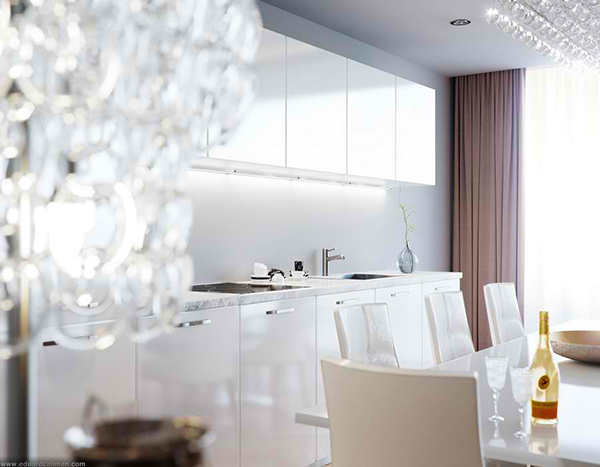 One factor that added appeal to this space are the lighting. The lamps and the ceiling lights are from Giovanni Sforza Home luxury Collection. 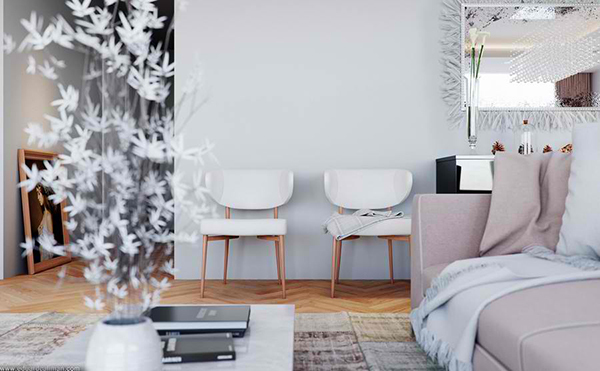 Everything in the living room is well chosen including these two white living room chairs. That mirror is an intriguing feature for me. 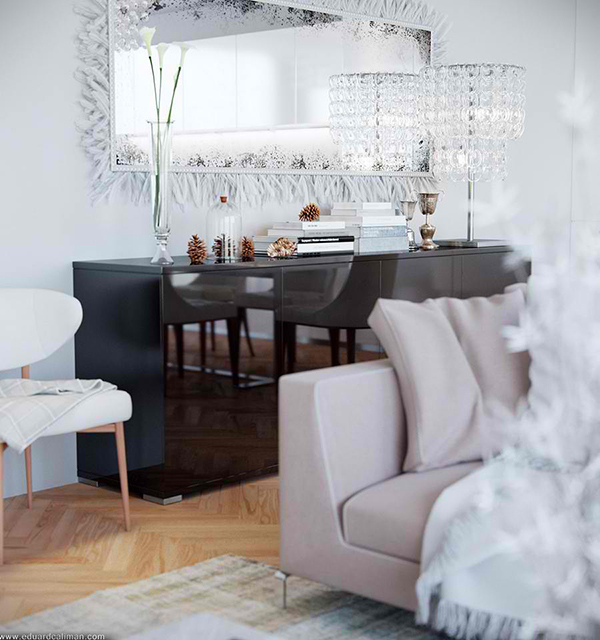 The feathery mirror is from Visionnaire Ipe Cavalli brand collection called bird. I even think that this sophisticated mirror can is a good idea for a DIY. 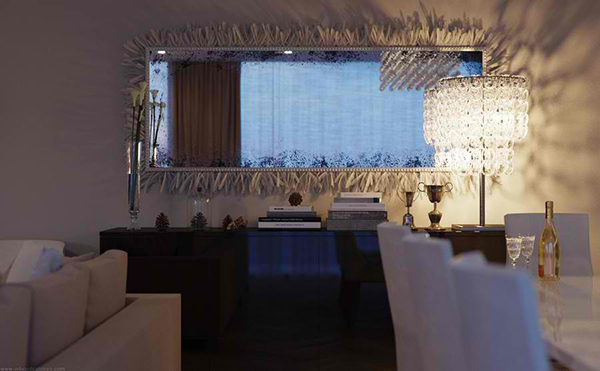 This console is called Gretel which is also part of the Visionnaire Ipe Cavalli brand collection. Seen here is the dining and kitchen area. Only the sofa separates this space from the living room. 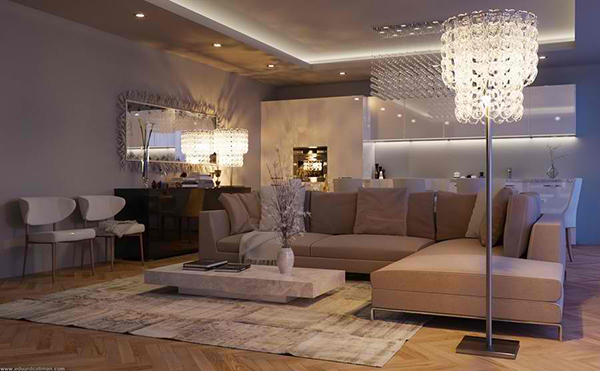 This is indeed a luxurious living room with a contemporary style. I like it that despite its sophisticated style, it is cozy and it doesn’t seem to stop us from sitting on the sofa or stepping on the area rug. Marvelous job by Eduard Caliman! 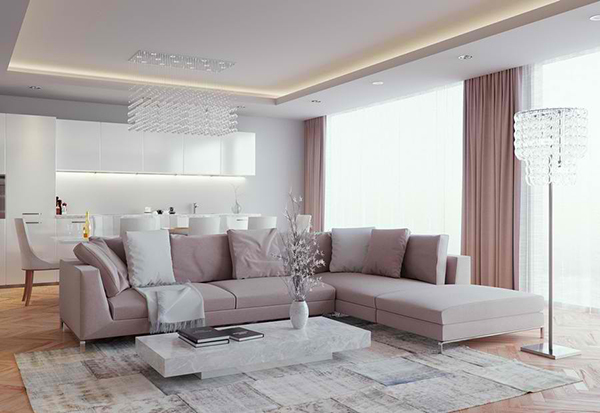 This living room fits for luxurious lifestyle with a unique character brought about by the furniture and lighting in it.